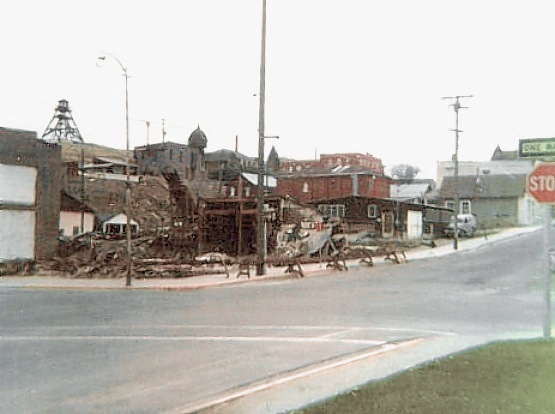 Some old-timers say that the worst disasters to befall Helena were the 1935 earthquakes and 1970s urban renewal. The Urban Renewal Plan displaced a number of lower-income South Main area families, destroying whatever community was there. Most of the Victorian-era structures in the area fell to the wrecking ball. In total, 228 buildings were demolished, over 140 businesses were displaced, and 430 familes had to find somewhere else to live. In a city of Helena's small size, it was a major upheaval. 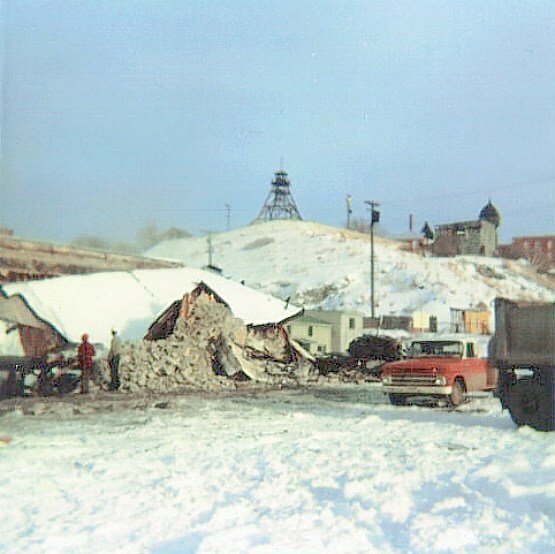 After the demolition, several architecturally insipid government buildings were erected in the center of the historic district, including a grim fortress-like Federal Building -- which the Feds have since abandoned for a newer, bigger one in the Great Northern Town Center. A short clip from the 1973 promotional film "Helena-City of Gold", produced by the Helena Chamber of Commerce. 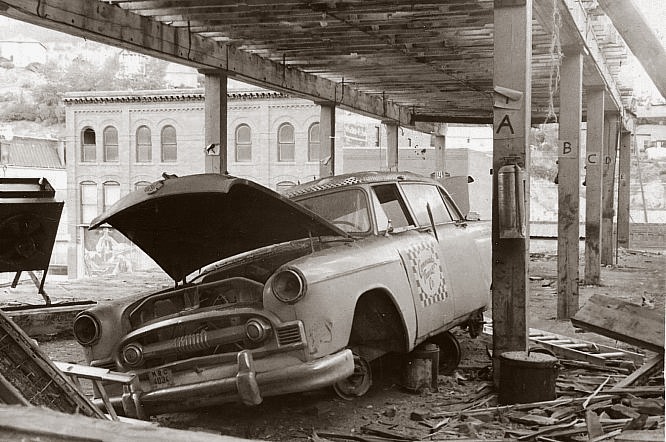 A stripped 1950s Community Transit Co. taxi in the shell of the T. O. K. Garage, 27 South Main. AVI animation. Please click the image above to download.